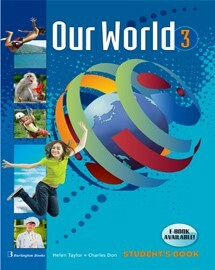 In Our World for A-C Classes, pupils learn English through exciting adventure stories and interesting texts about the world. Our World helps pupils build up a rich vocabulary while providing a solid grounding in grammar. It also develops pupils' oral and written communication skills.